EungSoo remarks himself as a musical virtuoso and his wide concert engagements demonstrate this: concerts with Sinfonie Orchester Berlin, Biel Symphony Orchestra, Göttingen Symphonie Orchester, Daegu Symphony Orchestra, Kyungbuk State Symphony Orchestra, Chungnam State Symphony Orchestra, Prime Philharmonic Orchestra and others. Especially, his recital in Poland was broadcasted by Radio Gdansk with very positive critics. Also, his debut in the Berliner Philharmonie hall in 2007 was highly successful and he was reinvited to perform Mendelssohn Concerto, Dvorak and Tchaikovsky Concertos. Moreover, his debut with Khachaturian Concerto in Seoul received overwhelming attention and a fantastic review. The concert was broadcasted on TBS Seoul. The following concerts are solo performances with Orquestra de Cordoba, Prague Philharmonic Orchestra, Mantova Chamber Orchestra, Oviedo Filharmonica, Wonju Philharmonic Orchestra and Changwon Philharmonic Orchestra etc. EungSoo is a top prize winner of the Zinetti International Chamber Music Competition, Maria Canals International Music Competition, Tibor Varga International Violin Competition, ‘Rodolfo Lipizer’ International Violin Competition and Spohr International Violin competition. EungSoo also played for Leonidas Kavakos, and he praised Eung Soo for his wide and diverse technical and musical capacity. EungSoo was born in Korea and started the violin at seven. Only after a year, he won the first prize in the Ulsan local competition. After graduating Seoul Arts High School (Prof. Tae-Sik Pyung), he moved to Vienna and studied with the renowned teachers as professors Igor Ozim, Kriszstof Wegrzyn and Boris Kuschnir. EungSoo has a CD from Azzurramusic supported by the City of Verona and the the next CD from Telos Music Records is already receiving high attention for its extraordinary quality and unique personality. Moon Young CHAE, a Vienna-based pianist, performed the Grieg Piano Concerto when she was thirteen with Korean Symphony Orchestra where she was commented as a ‘sentational young pianist’. She extended her studies at the Purcell School in London and she studied with the world-leading teachers like Patsy Toh, Yonty Solomon and Irina Zaritskaya. She received the Master of Music Degree from the Royal College of Music where she also performed Scriabin Concerto with the RCM Sinfonietta. Whilst having studied in London, Moon Young has received numerous scholarships such as Myra Hess Scholarship, Martin Scholarship and she won the Yamaha Scholarship Europe in 2002. Her achievements from competitions include the First prize from the Zinetti International Chamber Music Compeition and Maria Canals International Music Competition (2004), the Second prize in the Concorso Internazionale Ciltta di Pinerolo (2001), the Second prize in the Intercollegiate Beethoven Competition (2001) and the special prize in the Concorso Internazionale di esecuzione musicale Provincia di Caltanissetta. Moon Young is also a devoted chamber musician. She has performed enourmous chamber music concerts and she has worked with professors like Boris Kuschnir, Pavel Vernikov and Igor Ozim and her partners include Julian Rachlin, Lidia Baich and Alisa Weilerstein and her husband Eung Soo KIM. She also has an album from the Decca with a Scriabin Prelude and the first album with Eung Soo Kim is released by Azzurramusic. Moon Young has performed in prestigious venues such as Konzerthaus and Musikverein in Vienna, The Purcell Room, South Bank in London. 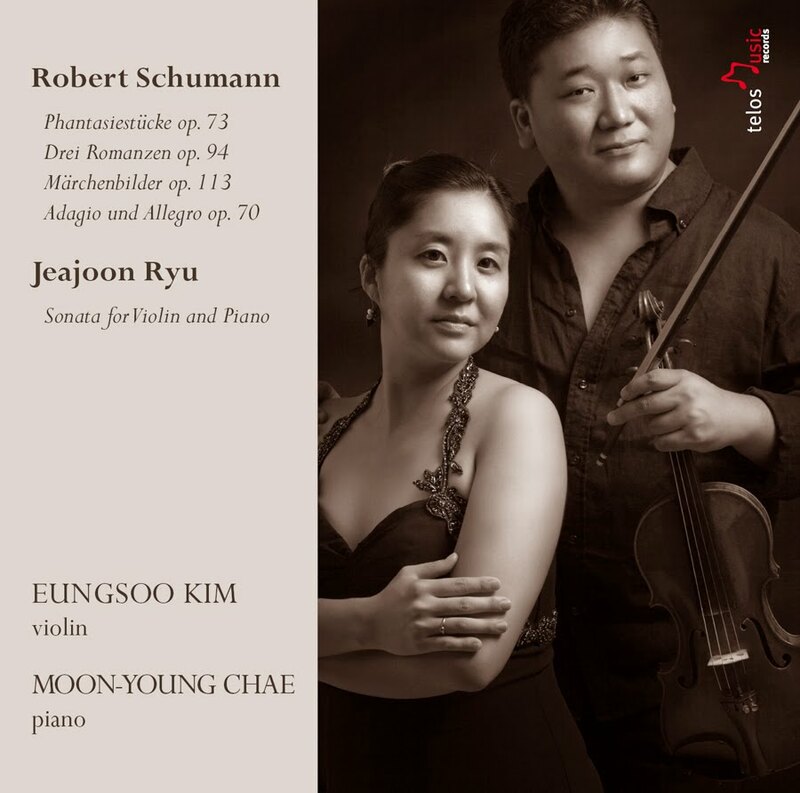 Moon Young performs actively with Eung Soo KIM and as a soloist in Vienna, London, Lindau, Koblenz, Seoul, Daegu and venues including St. Matin-in-the-Field, London, Regent’s Hall (UK) Little Angels’ Concert Hall, Seoul (Korea), Stadttheater, Lindau (Germany), Gesellschaft für Musiktheater Wien, Beethoven Gedenkstätte, Schubertgeburtshaus (Vienna).